I’m pleased to announce that the first video from one of my two panel sessions from Streaming Media West is now online at: http://streamingmedia.com/videos/. This session discussed online publishing and marketing strategies by a diverse panel of industry speakers. I was thrilled to moderate this panel session and I thank Amir Ashkenazi, Christina Cece, Sanjay Desai and Robb Miller for their contributions (see their bios below.) I’ll be featuring other videos from the conference in upcoming posts including the other session I moderated on syndication. In the world of video publishing, how do you get started? How do you create compelling content? With so many options for live and on-demand video, how do you choose your distribution platform? How do you find your niche? Build your audience? Establish your brand? How do you create a sustainable model to monetize your content and generate income? This is an opportunity to hear some of the most well-known and respected online video publishers discuss online video publishing and marketing strategies. How do you get started? 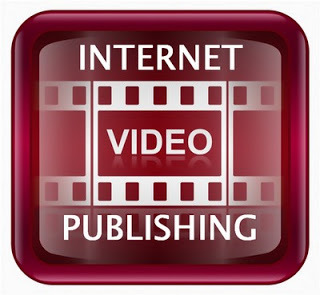 in online video publishing? what are the challenges? obstacles? opportunities? How do make money? How do you find your niche and establish brand? Build audience? Build ecosystem? What is unique about your platform? What markets do you represent? Who is you biggest client? Competitor? What other types of content is published? How important is advertising? Discuss models. Revenue sharing with content makers. Management of analytics. How do you create sustainable model for monetizing content? Are CPMs an effective way to sell advertising? What is the CPM value of a video ad today? What works? What doesn’t? In world of publishers and marketers, who is really benefiting? Where are the expansion opportunities and growth areas? What about other social media tool integration? (video comments, Twitter updates) Are they seen as adding value to branding? What do you see in the short and long term for online video publishing and marketing strategies? Christina shared these slides showing the Glam Media player. I had previously posted a profile of my speakers here but this is an updated speaker profile of the final roster that includes Amir Ashkenazi and Robb Miller along with some additional links. Sanjay serves as VP of Product Marketing at Brightcove. In this role, he leads the product team responsible for Brightcove’s core service and spearheads product marketing across the organization. Before joining Brightcove, Sanjay spent several years leading product management/marketing for Tellme Networks’ consumer business in Mountain View, California. Prior to Tellme, Sanjay served as VP, Strategic Planning at The Walt Disney Company, focused on ABC’s broadcast and production businesses. Earlier in his career, Sanjay gained experience within Goldman Sachs’ technology, media and telecom M&A group and as a strategy consultant for KPMG. He holds a BA from the University of California, Berkeley and an MBA from Stanford Business School. Brightcove, Inc. provides Internet television services. It transforms the distribution and consumption of media. The company provides video marketing solutions, advertising solutions, and advertising and marketing. You can get the basics about Brightcove here: http://www.brightcove.com/about_brightcove/. In June, Brightcove launched a beta of the next generation of their online video platform—you can read the release here: http://www.brightcove.com/about_brightcove/press_releases.cfm?ID=277. Jeremy Allaire, Brightcove’s CEO, talked with TechCrunch last week about the current direction of the business—you can read the resulting post here: http://www.techcrunch.com/2008/08/23/brightcove-ceo-discusses-the-future-and-failures-of-online-video/. Christina manages all Glam Media Products. She manages Glam.com, Glam’s owned and operated properties, Glam’s publisher products and internal tools and our flagship video product – GlamTV. She held senior positions at IBM, MarkLogic Corp (Sequoia-funded xml content server company), Deloitte, and a year as a senior engineer at CafePress. She has a degree in Econ and Computer Science from Duke University. Amir drives the overall strategy and manages operations for Adap.tv. Most recently, Amir was Founder and Chief Technology Officer of Shopping.com (formerly DealTime.com), a leading online shopping service that helps consumers make informed purchasing decisions by comparing products, prices, and stores Web-wide. Amir launched and successfully led Shopping.com’s technology and research efforts. Shopping.com completed an initial public offering in October 2004; the company was later acquired by eBay (NASDAQ: EBAY) in August 2005. Previously, Amir was Director of Research for CommTouch Software. He studied Computer Science and Economics at Tel Aviv University. Adap.tv makes the most of online video advertising. Through its flagship offering, Adap.tv OneSource, the first open and universal video ad platform, publishers can seamlessly monetize and increase the quality and success rate of online video advertising across all networks and all formats. With a single point of control, publishers can match their online video inventory from a collective sum of ad networks based on contextual analysis and past viewer behavior. Robb joined The Feedroom as Regional Sales Director in 2006 following a 10-year career in the post production, Internet, and new media business. He served as director of sales for Onstream Media Corporation, where he was responsible for worldwide sales of digital asset management services and landed deals with the strategic clients such as the NFL, AOL and Citigroup. The FeedRoom is a white label video management service and leading broadband video communications company that powers the video sections of some of the largest sites on the web, including the New York Times, Intel, HP, and BusinessWeek. With end-to-end technology solutions, media and marketing services, and content production, encoding, hosting, and syndication services are provided for public and corporate sites. The FeedRoom’s unique one-stop-shop serves corporations, media companies, and government agencies. Customers like Wal-Mart, General Motors, Intel, The New York Times, Sun Microsystems, USA Today, Meredith Interactive, McGraw-Hill, and The Pentagon Channel already use The FeedRoom’s broadband video products to communicate with the media, consumers, partners, investors, and other key stakeholders. I shot this short video with my Flip camera following the panel session. While it’s not too compelling it did capture the interest and follow up questions from some the audience. forum to celebrate the medium and to help shape its future. This post originally appeared on Larry Kless’s Weblog on July 1 , 2008. 1. Emphasizing quality over cost. 2. Believing good content will get seen. 3. The most savvy creators listens to audiences and predicts them, thus creating content that’s more popular. … are actually wrong and if you live by them you’ll go broke and be unsatisfied with your work. There still isn’t a safe monetization model for online video and as Nalts points out, “This is actually good news for amateurs like me, because we’ll sustain while better creators come and go..” He is able to keep his costs down being a “one man band” who can write, act, shoot, edit, publish and promote his own own work. He gets it done “on the cheap” by calling in favors, bribing people to be in his videos and keeping equipment costs to a minimum. Golden Rule #2: Good Content is Not Popular. For this rule, Nalts says, “Good isn’t popular, and popular isn’t good… you’re responsible for getting your videos seen if you want your videos to be seen.” Don’t hard sell yourself but make sure you target your videos to specific niche markets. Think about how your video could cross over to another genre to expand your audience beyond your current reach. Make an effort to find that relevant audience. If your video is about food, travel or any other topic you should send it to the food, travel and any other topic bloggers. I love this one because it goes against the traditional mindset that you should focus on what the audience wants to see. It’s really hard to do too, because we feed on audience interaction but as Nalts explains, “almost no online-video creator is at risk of losing touch with their audience — the medium consumes them. Rather, most popular creators lose their steam because they focus on feeding the audience instead of instinct. What began as a fun outlet becomes an obligation.“ He says that “caring less” about what the audience thinks is “the remedy for artistic sustainability” and try not to let the critics get you down. Keep your creative edge by not focusing so much on the feedback but what is fun for you and that will shine through your work. 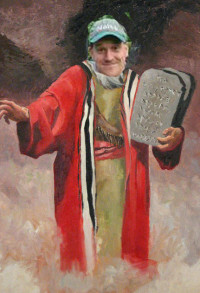 That now concludes today’s sermon. This article was published on May 28, 2008 and written by Troy Dreier of WebVideoUniverse who spoke with Dan Rayburn, executive vice president of StreamingMedia.com and online media expert and industry consultant about the Top 5 Mistakes of Online Video Creators. Dan Rayburn gives sound advice to help remedy the “Top 5 Mistakes” that content creators and online video publishers can make. After reading through them you may think that it’s pretty obvious but people can get caught up in either poor planning or incorrect assumptions. I’ve paraphrased them below and you can read the full article here. Focus on the content and try to make it better by using quality creation and distribution tools. Make it available in as many formats and as possible. Start by taking a look at what you already have in-house rather than going out and buying the most expensive gear. Even the equipment in corporate videoconferencing rooms can be utilized when not in use. Article Copyright 2008 Jupitermedia Corporation All Rights Reserved. This is a repost from my blog, Larry Kless’ Weblog dated January 29, 2008, which first appeared here. I’m reposting here at Online Video Publishing [dot] to help kick things off. Enjoy, learn, produce and publish!